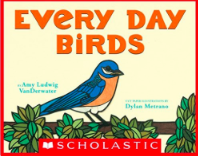 Every Day Birds by Amy Ludwig VanDerwater is a lovely and informational book about birds Amy notices every day. 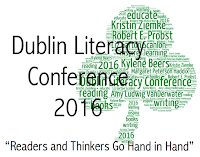 I was fortunate enough to pick this up a week ago at the Dublin Literacy Conference, a few days before its "official" birthday. I am mesmerized by both its colorfulness and its simplicity. Every Day Birds will be a great mentor text for young writers - choosing something you see every day, and expanding thinking around it. The words Amy chooses are lyrical, and though not positioned in a way that the reader can see, if they pay attention to the "sound" of the words, the reader will notice the rhyming pattern. I love how Amy put the words and lines altogether in the back of the book so that the reader can visualize the rhyming pattern and see the individual pages as belonging together as one poem. Another purchase on the day of the Dublin Literacy Conference was Egg: Nature's Perfect Package by Steve Jenkins and Robin Page. I love everything on which this husband/wife team choose to collaborate. 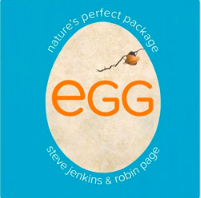 Egg is no exception! Another great mentor text to have in the classroom. It is a wonderful book for students who love life science and animals. It is a great mentor for main idea, key details, informational text features, and informational text structures, just to name a few. I love this book, because just like many others they have written for children, I find that I learn many new things about animals myself!! 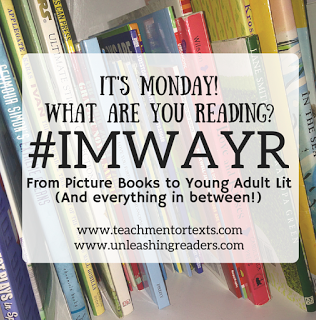 I'm glad to be back in the reading community on Mondays. 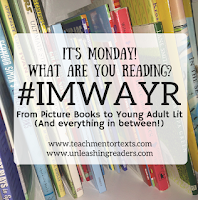 Really looking forward to what others are reading! How fortunate we are to have this community of celebration on Saturdays. 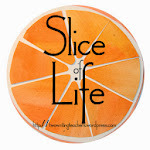 Thanks so much to Ruth at Ruth Ayres Writes for hosting our celebrations each week! 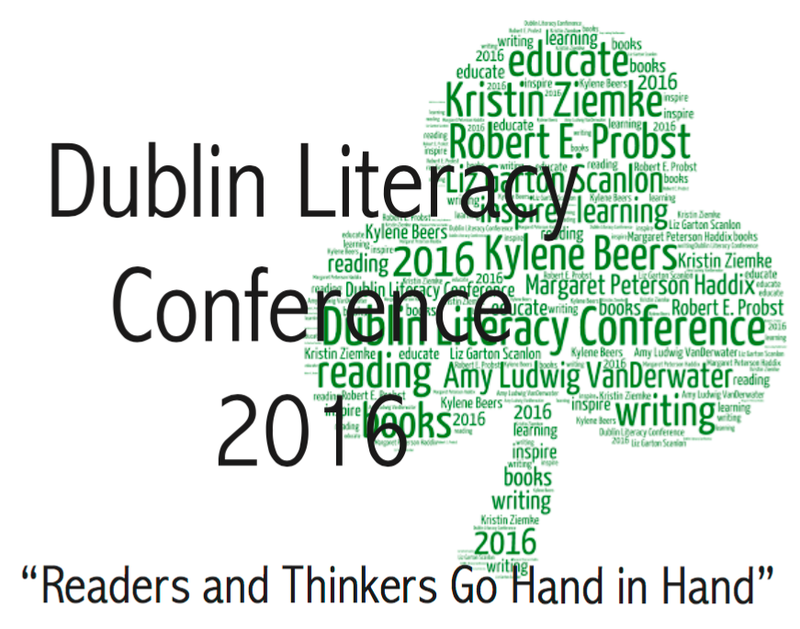 Last Saturday was the 2016 Dublin Literacy Conference. There was much new and revised learning to process from Kylene Beers, Bob Probst, Kristin Ziemke, and Amy Ludwig Vanderwater, to mention just a few. All of that learning, and revision of learning, has really helped move my art of teaching and coaching as I worked beside teachers this week, and that is a celebration. Another huge part of the conference for me was the session in which I presented. We spoke to a packed house of 100+ educators, but my real celebration surrounds the two teachers that presented with me - Brittany and Nikki. Our group shared about formative assessment in the reading workshop, and they brought a wide variety of real-life classroom examples that showed the ease of daily formative assessment, as well as telling the stories of how that real-time data helped guide their instruction. They were pros and I am so delighted to be their colleague/coach! This past Tuesday night, my writing group met at my house. There were six of us present this week. We have a rhythm for our meetings, and this week was no different. We gathered in the kitchen until almost everyone was present. 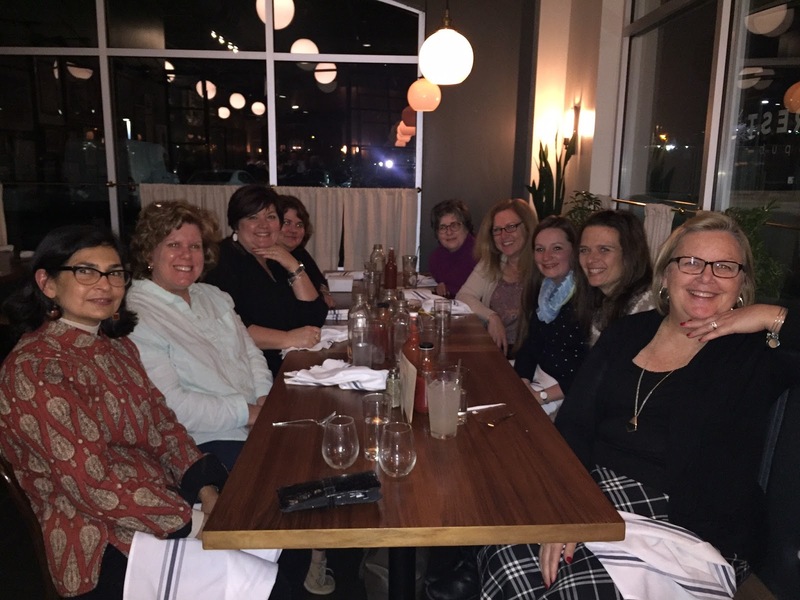 Then, we gathered at the dining room table to eat, catch up on lives, reflect on #Dublit16, and converse around a wide variety of topics. We finished our meal and conversation and proceeded to savor whatever mystery dessert our group baker, Mandy, had decided to bring. This week, she made a delicious chess pie. Finally, after the well-satisfied moans and groans from the delicious dessert, we all scattered, and found our nooks and crannies where we chose to write for a period of time. Our final gathering occurred to celebrate the writing we had done, and also ask for feedback. What a celebration to be with these incredibly smart educators who also happen to write and be reflective! Finally I am celebrating that this is a typical Saturday, which means in 30 minutes, I will be leaving to work with my personal trainer, Tami. Our time together is generally 75 minutes; sixty of those minutes are spent on strength training of various body parts as well as light cardio. The last minutes are spent with Tami doing some static stretches of my legs and chest, and then she follows that with a head, neck, or leg message (and yes, it is as wonderful as it sounds!). I always leave Tami feeling stronger, more powerful, and more centered. Most definitely a celebration I don't take for granted! I hope you have had some celebrations this week as well. Happy weekend!